Nigeria is one of the greatest countries in the world, whose greatness is being held back by numerous self inflicted vices. 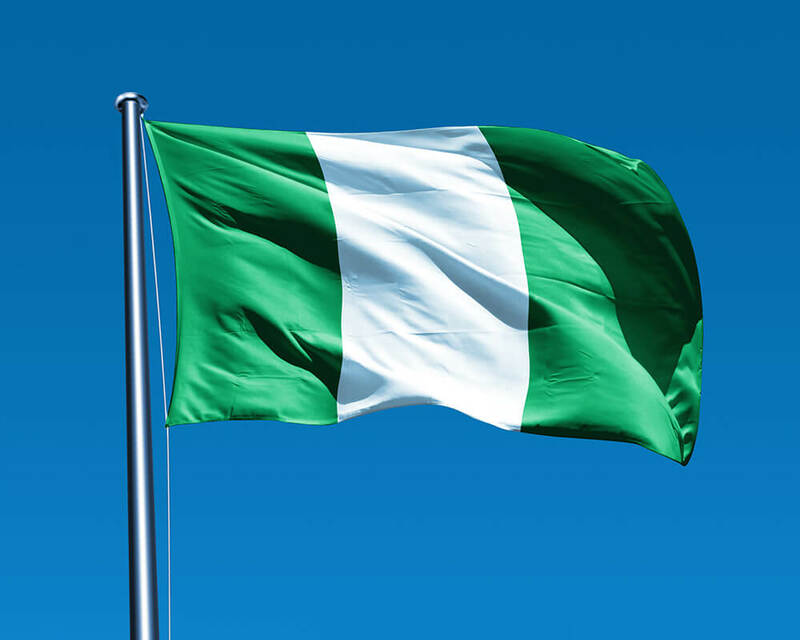 While the country is blessed abundantly in all fronts, its greatest undoing is the lack of visionary leadership, which some analysts have described as Nigeria’s natural disaster. To my understanding, any visionary leadership can fix Nigeria in just 72 hours and position the country for greatness. By fixing Nigeria, I do not mean a sudden transformation from third world to first world. What i meant is simply to create a structure for progress by building and empowering all citizens to directly or indirectly be part of the nation building process and putting the right people in the right place, to drive the right policies with the required vigor at the right time and create an institutional culture that cannot be reversed. Without boring you with so much intellectual analysis and academic jargon's, let us go straight to the issues that matters and how to fix Nigeria within 72hours. Problem: The issues that led to Nigeria’s civil war in 1966 and those after are part of the fundamental challenges holding Nigeria back from progress. As at 2018, Nigeria is still dealing with issues of Biafra agitation. country to protect every citizen from harm, even against themselves and the country failed in that regard. Problem: According to National Bureau of Statistics (NBS), close to 80% of people incarcerated across Nigeria are unsentenced prisoners. Some of them have been held in unlawful detention for more than 10 years, for a crime that if convicted, they may only be held for maximum of 6 months. In other words, close to 80% of Nigerians in prison are victims of injustice by the Nigerian state. De-incarceration. Nigerian president, through his constitutional power can order the release of all prisoners in the country, with the exception of a very small percentage, maybe 5-10% who maybe rightly adjudged as threat to national security. The president should also offer a national apology to all victims who may have been wrongly held in prison without justice. Problem: Human Rights violation is at the center of almost 50% of Nigeria’s civil unrest. Additionally, government institutions are also major violator of human right in Nigeria and the judiciary, which should ordinarily be the last hope of common man is nothing to write home about. Furthermore, National Human Rights Commission (NHRC) as well as other agencies created specifically for the purpose of protecting citizens are massively failing in their statutory responsibilities. Solution: Empower and mobilize all Nigerians to be human right defenders through adequate enlightenment and institutional support. From nursery school to higher institution, all students must be adequately empowered to expose, challenge and bravely confront human right violation within and their outside their institutions. Additionally, the country should make it culture to appoint radical and veteran human right defenders as head of the following agencies, National Human Rights Commission (NHRC), Public Complaint Commission (PCC) and other such agencies and empower them to recruit young and passionate human right defenders across the country to run such agencies. Problem: Nigeria’s greatest challenge is the disconnection between the people and its government. The people lack outright understanding that they own the government and could dictate what must be done. This disconnection has made them lack patriotism in the sense that, they do not take ownership of government resources, assets, policies and vision. sensitization through constant engagement for educational purpose on key citizenship concept. The leader must educate the people to be able to socially mobilize them for joint policy implementation and to instill mass patriotism. Problem: Economic marginalization, extra judicial killings, security high handedness and lack of access to justice had given birth to regional and community terror gangs such as militants, insurgents etc. Solution: Offer sincere apology to all victims and their community. Offer sincere amnesty to all combatants and demonstrate willingness for true national healing by having open and sincere dialogue about the cause of the problem and give room for joint problem solving. De-militarize, De-mobilize and reintegrate. place for judgement pronouncement. And in most cases, judgement is only pronounced in favor of the most intelligent speaker, but only the rich can hire the best speakers. In addition to this, the slow justice system is a major problem, apart from the excessive concentration on technicalities, thereby loosing the essence of the justice system. Solution: The worst alternative dispute resolution is still a little better than the best court judgement because, ADR does not only resolve the dispute, it unites the conflicting parties. Center for alternative dispute resolution should therefore be given greater priority in our quest for peace. ADR centers should be established across all local government areas of Nigeria and empowered with adequate resources to function properly. The court should be encouraged mostly to handle criminal matters, while ADR centers handle civil matters. Problem: Religion/Ethnic sentiment is the order in Nigeria rather than the exception. This vice drives our politics, policies and conduct in every sphere of life. Hardly can any policy be discussed without an element of ethnic and religious sentiment. From Central Bank money printing, recruitment into civil service, security engagement and activities, foreign mission and even achievement of Nigerians in diaspora are all subjected to ethnic/religious interpretation. Solution: If we don’t want the populace to continue to draw wrong ethnic/religion interpretation from our everyday issue, we must give them something else to draw interpretation from by shaping their sentiments with more free thoughts that disrupt their preconceived thoughts. As we all know, sentiment is part of life and a visionary leadership will understand how to exploit the ethnic and religious sentiment of all sections of its citizens for positive advancement of their interest.